Since the earliest centuries, the Christian church has found it helpful to provide a selection of Scripture lessons or “pericopes” for use on the various Sundays and festivals of the church year. Realizing the benefits to be derived from such an orderly proclamation of God’s Word, our Moravian Church, along with other major denominations, thankfully adopted the “traditional lectionary” as a suggested guide for its own ministers and congregations. God continues to work among his people, however, and beginning in 1969 many denominations introduced a “new lectionary,” similar in many respects to the “traditional pericopes,” but now embracing a three-year cycle of lessons with three selections and one Psalm for each Sunday or festival. 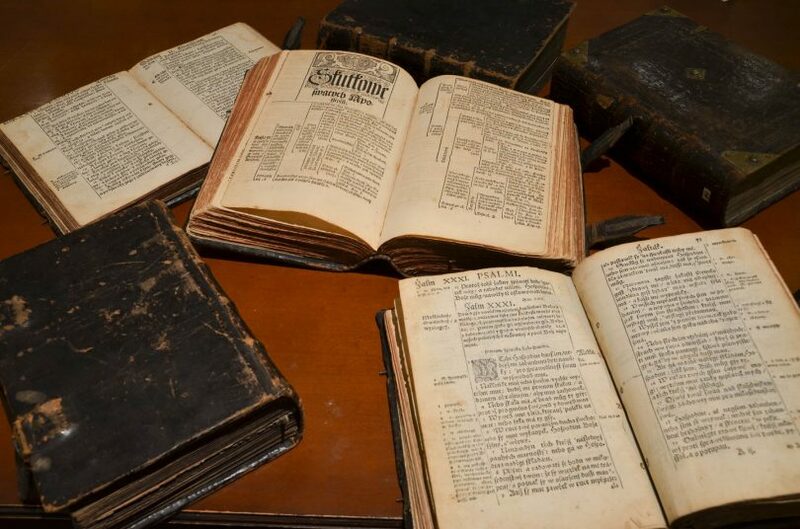 The advantage of this development was immediately obvious, for a far larger selection of the riches of God’s Word could thereby be utilized for the instruction of the faithful. Various denominations made slight modifications in the basic lectionary in accord with their own heritage (Lutheran, Presbyterian, Episcopal, etc. ), but the basic structure and, indeed, most of the individual selections remain the same. This approach has now been adopted by the Moravian Church. The following adaptations have been made in the Revised Common Lectionary for this Moravian lectionary: Readings from the Apocrypha (deuterocanonical books) have not been used. Alternative readings have not been listed. Readings for the Season of Christmas, other than for Sundays and one set for Christmas Day, have been omitted! Readings for Holy Week and for the Easter Vigil have been omitted because these passages are part of the Moravian tradition of Holy Week readings. The gospel readings for Easter Sunday are from a different gospel in each cycle. In the Sundays after Pentecost, the set of Old Testament and Psalm readings related to the gospel readings has been used. In accord with our long-standing Moravian tradition of freedom, use of this lectionary is, of course, not “required” as in some other denominations. It is, however, warmly commended to our ministers and congregations because of its many advantages. Reading from it at public worship on a continuing and regular basis will ensure that our people hear the Word of God in all its fullness. Our ministers, for their part, will be challenged to treat texts they might never have chosen on their own, but will also find an ever-increasing number of commentaries and “sermon helps” being published which are based on the three-year lectionary. In addition, with this lectionary the Moravian Church reaffirms once again its unity of Spirit with major portions of the church universal.